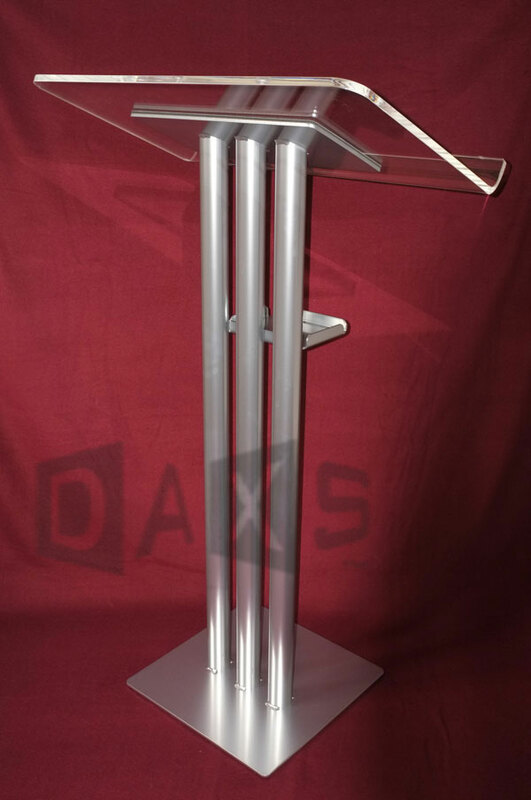 Lightweight, budget version of the standard Trilite Double-Truss Lectern, in natural / extruded aluminium, based on 25mm (1") tubes - with large 46cm x 100cm top. 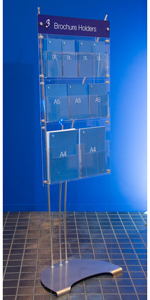 An optional 'clamp-on' drinks tray is available - click here for Lectern Accessories. 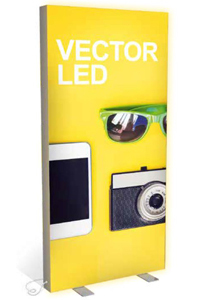 The lectern can be easily branded by attaching an A2 (portrait or landscape) or A3 (landscape) 'snap open' poster frame (silver anodised aluminium) to the front tubes.